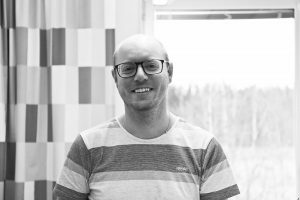 Carl-Johan Boraxbekk’s research has always centered on maintaining and enhancing brain function in relation to brain aging, including cognitive performance and motor skills. By using neuroimaging techniques such as structural and functional magnetic resonance imaging (MRI), diffusion weighted MRI, and positron emission tomography (PET), he traces plastic changes in the adult brain. Combing these brain mapping methods with extensive behavioral testing of cognitive and motor functions, he aims of understanding life-long brain plasticity and neuro-enhancement in the aging population following exercise, diet, memory training and motor training. Carl-Johan is professor of cognitive neuroscience of aging and shares his time at the center for demographic and aging research (CEDAR); Umeå center for Functional Brain Imaging (UFBI) at Umeå University, and Danish Research Center for Magnetic Resonance (DRCMR), Copenhagen University Hospital, Hvidovre, Denmark.